It was a fine sunny morning when we set off from a forestry road south of Tokoroa at 9am. 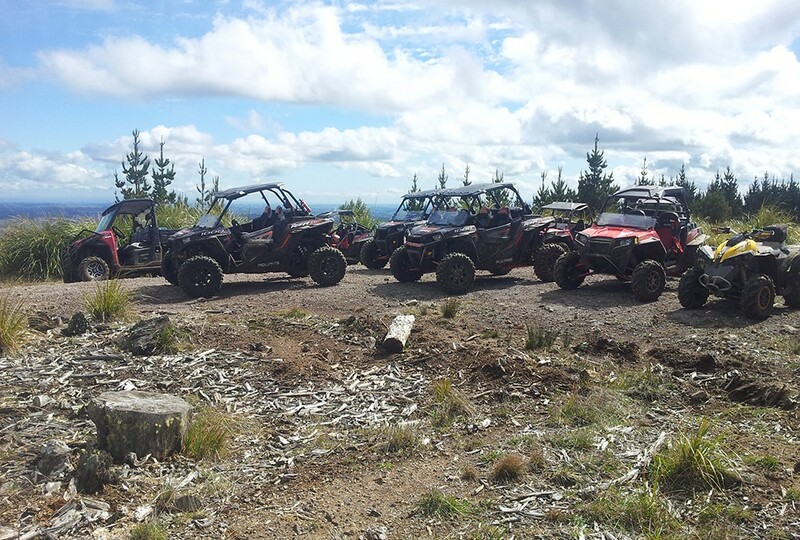 We were driving the Polaris Ranger XP 900 while all the others were driving ether Polaris RZR 1000 or Polaris RZR 900. Our tour guide was the very capable Sean Clarke who knows the forest like the back of his hand. The trails were narrow in parts as all the past rides that Sean had done were with either two or four wheel bikes, so the bigger side by sides came very close to a lot of trees. There were some tricky tracks that had a few challanges, some very steep hills that were wet and had deep ruts as well as trees, stumps and tree roots. On some of the high hills we were able to stop and enjoy the view, something not too many people would get to see. At about 1pm we arrived at Lake Ohakuri to an amazing lunch supplied by Sean’s wife. After filling the Polaris’s with fuel it was back on the trail, many more amazing sights and tracks were seen until we arrived back at the start point at 6pm.